- Cheetahs are the fastest land animal in the World with tan in color with black spots all over their bodies. - Cheetah's slender, long-legged body is built for speed, as fast as 112 to 120 Km/h. Ability to accelerate from 0 to 100 km/h (62 mph) in three seconds. - It is the only extant member of the genus Acinonyx. - Found throughout Africa and Asia from South Africa to India and a small portion of Iran. - Cheetahs eat mainly gazelles, wildebeest calves, impalas and smaller hoofed animals. - Mating Season is throughout the year, gestation in around 3 months with 2-4 cubs of Litter Size. - They are widespread, being found on every continent except Antarctica. - Free-tailed bats are usually grey, brown, or black in color, with some exceptions. - They range from 4 to 12 cm (1.6 to 4.7 in) in length, excluding the tail, and can weigh from 8 to 220 g (0.28 to 7.76 oz), depending on species. - They are insectivorous, and catch their food on the wing. - They can reach to the speeds of 96.6 km/h : Tail wind is what allows free-tailed bats to reach such high speeds. - While some species roost in small groups in hollow trees or rocky crevices, some cave-dwelling species form vast colonies of up to 50 million individuals. - The fastest land animal in North America. - Pronghorn can travel at speeds of up to 88.5 km/h. 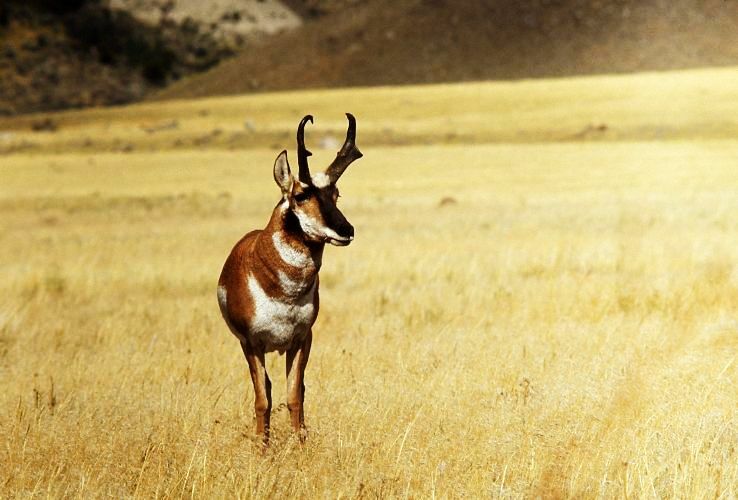 - Pronghorn don't jump, and are therefore unable to clear fences. - These herbivores eat a wide variety of plant foods, including cacti and plants that are toxic to domestic livestock. - Their population sizes have been reduced about 95 percent since the 1800s. - They rarely close their eyes to sleep. If they do sleep, it's for less than 10 minutes at a time. - Normal Height is 81 - 104 Cm with 34 - 65Kgs. - Gestation period - 235 days. - Speed upto 56 Km/h to 88.5km/h. 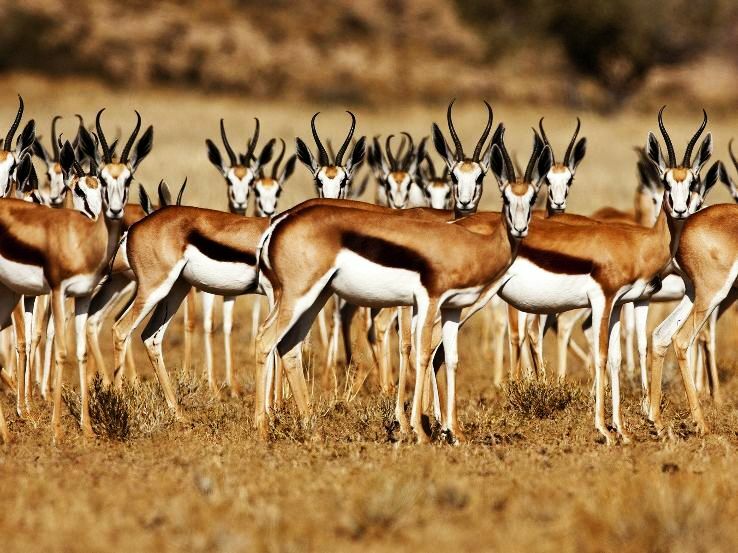 - The springbok is a medium-sized brown and white antelope-gazelle of south western Africa. 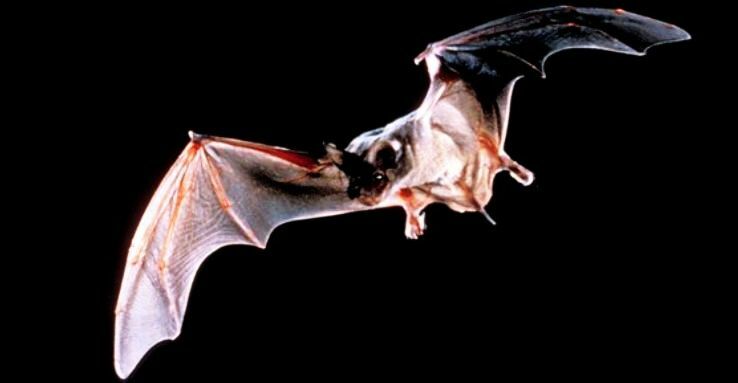 - It is extremely fast and can reach speeds of 88 km/h and leap 4 m through the air. - Today they are only found in protected areas and farms. - They are regularly feed on roots, herbs, grass, flowers, shrubs and leaves. - Reproduction gestation period are of 168 days. - Normal height is 70 - 90 cm with 30 - 48 kgs. 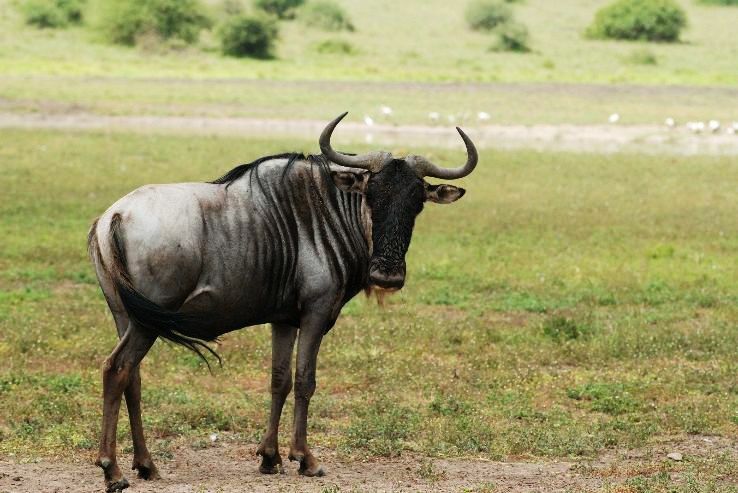 - The wildebeest is one of the few African antelopes to have extended its range in the last 50 years. - The wildebeests, also called gnus, are a genus of antelopes. - They belong to the family Bovidae, which includes antelopes, cattle, goats, sheep and other even-toed horned ungulates. - Wildebeest prefer short grass, they are unable to go without water for more than a few days. - They numbered about 250,000 in 1960 and are thought to number 1.5 million today. - They constantly emit low moans and if disturbed, snort explosively. - Height is about 127 - 147 cm. - Speed upto 80.5 km/h. - Found mostly in India, the black buck is one of the most photographed of wildlife species. 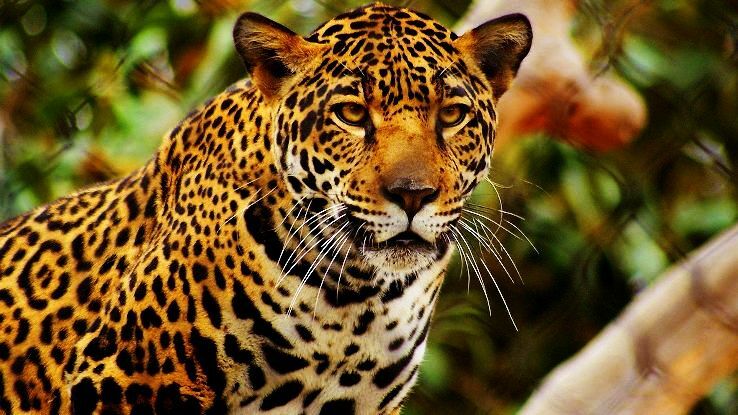 - They are counted among the fastest animal species on earth with speed of 80 km/h. - Blackbucks usually known for their jumping, their high speed and keen eyesight on account for their protection. - The population of the Indian antelope has been badly affected by poaching and loss of habitat. - Lives on grass, leaves, pods, fruit, shrubs and flowers. - They are extremely fast, they can run twice as fast as an Olympic sprinter. - They can attain a maximum speed of 72 km/h. - The European hare, also known as the brown hare, is a species of hare native to Europe and western Asia. - It is a mammal adapted to temperate, open country. - Weight: 4 - 6kg. - Life-span: up to 4 years in the wild. Can live up to 12 years. - Food: mainly grasses and herbs; also cereal crops, buds, twigs and tree bark. - This species has a fairly long breeding season which lasts from January to August. - The African Wild Dog is a carnivore mammal found only in Africa. - Wild dogs live mostly in arid zones and in the savanna. - This dog can cover 71 kilometers in one hour. - Size: 30 inches at the shoulder. - Weight: 55 to 70 pounds. - Lifespan: 10 to 12 years. - Habitat: Dense forest to open plains. - Kangaroos are the only large animals to use hopping as a means of locomotion. - The comfortable hopping speed for Red Kangaroo is about 71 km/h. - Kangaroos have powerful hind legs and short, thumbless forelimbs. - Red kangaroo is the largest marsupial in the world. - They can reach a weight of 200 pounds (90 kg). - Lifespan:On average, kangaroos live in the wild for six to eight years. - Range:Kangaroos are found in Australia and Tasmania, as well as on surrounding islands. - Habitat:Kangaroos live in varied habitats, from forests and woodland areas to grassy plains. - Food:Kangaroos are grazing herbivores, which means their diet consists mainly of grasses. They can survive long periods without water.